Wayne Olson serves as executive vice president of Healthcare Operations and Development, directing operations for all Volunteers of America National Services health care programs. In addition, he is responsible for new development and strategic initiatives. Prior to joining Volunteers of America in 1997, Olson served as regional director with the Evangelical Lutheran Good Samaritan Society, a national leader in long-term care. Olson has also served as district manager for operations at Good Neighbor Care Centers, a for-profit regional long-term care organization. He received his bachelor’s degree in long-term care administration from the University of Minnesota, and his master’s in business administration from the University of St.Thomas. 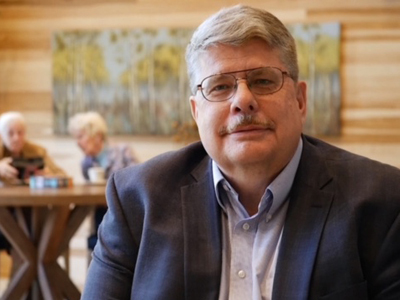 He served on the national Program for All-inclusive Care for the Elderly (PACE), and currently serves on the board of directors and is past chairman of Leading Age of Minnesota (LAM). Olson is also involved with various other association activities, and has worked with various organizations in exploring technological applications for senior services.